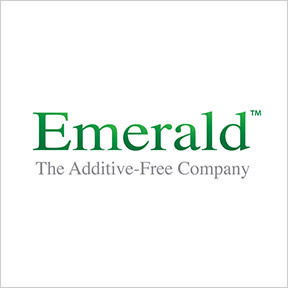 Professional Supplement Center now offers Emerald™, a line of additive-free, physician- formulated, condition-specific supplements. Clinically tested Emerald™ formulations are designed by Dr. Mark Stengler, a well-known author, lecturer, and licensed naturopathic medical physician. For over two decades, Dr. Stengler’s passion has been to combine the best of conventional and natural medicines to achieve optimized health for patients in his health practice. Based on clinical research and actual patient results, Emerald™ formulas utilize therapeutic dosages of synergistic ingredients with a strong emphasis on disease prevention and wellness support. All raw materials are assayed for identity, strength, composition and purity. Products are additive-free to promote quick uptake of the nutrients and aid absorption at the cellular level. Their whole-food proprietary blends provide broad-based nutrients, including plant-based enzymes, prebiotics, and rich probiotic blends in support of overall health and function. Liver Health: This product provides therapeutic dosages of synergistic nutrients shown to support overall liver health, as well as all major pathways of liver detoxification. Ingredients include extracts of European milk thistle, Meriva® turmeric root, and artichoke, as well as a raw, whole-food proprietary blend. Free of milk, soy, salt, sugar, wheat, yeast, gluten, artificial flavors and preservatives. Vegan formulation. Adrenal Health: This formula provides therapeutic dosages of a synergistic blend of activated B vitamins, botanical extracts, adaptogens and royal jelly, as well as a whole food proprietary blend of superfoods, probiotics and plant-based enzymes. These specific nutrients have been shown to improve energy levels, inhibit fatigue, and promote mental clarity. Free of milk, soy, salt, sugar, wheat, yeast, gluten, artificial flavors and preservatives. Vegetarian formulation. Cholesterol Health: This clinically potent formula provides therapeutic dosages of nutrients shown to help improve HDL and overall cholesterol ratios. Ingredients include flush-free niacin, fermented CoQ10, chelated chromium, and RYR-VA™ red yeast rice, as well as a raw whole- food proprietary blend. Free of milk, soy, salt, sugar, wheat, yeast, gluten, artificial flavors and preservatives. Vegan formulation. Blood Sugar Health: Blood Sugar Health provides therapeutic dosages of synergistic nutrients, including water-soluble Cinnulin® cinnamon bark extract, gymnema sylvestre, chromium and alpha lipoic acid. These ingredients been shown to aid glucose and carbohydrate balance, as well as minimize sugar cravings. Free of milk, soy, salt, sugar, wheat, yeast, gluten, artificial flavors and preservatives. Vegan formulation. Joint Health: Joint Health provides therapeutic dosages of nutrients shown to reduce stiffness and support joint mobility, connective tissues and healthy cartilage. Clinically potent ingredients include Meriva® turmeric root extract, collagen, OptiMSM® and glucosamine sulfate, as well as a raw whole-food proprietary blend. Free of milk, soy, salt, sugar, wheat, yeast, gluten, artificial flavors and preservatives.